Check out our collection of vinyls for your car! *ALL 'US MAIL' options are only available for shipping addresses within the US. Customers shipping to an address in Canada must choose either 'CANADA' options . **Florida customer will be charged a 7% sales tax. 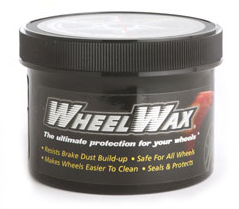 Wheel Wax is the only wax for wheels. It cleans restores and protects in one step!